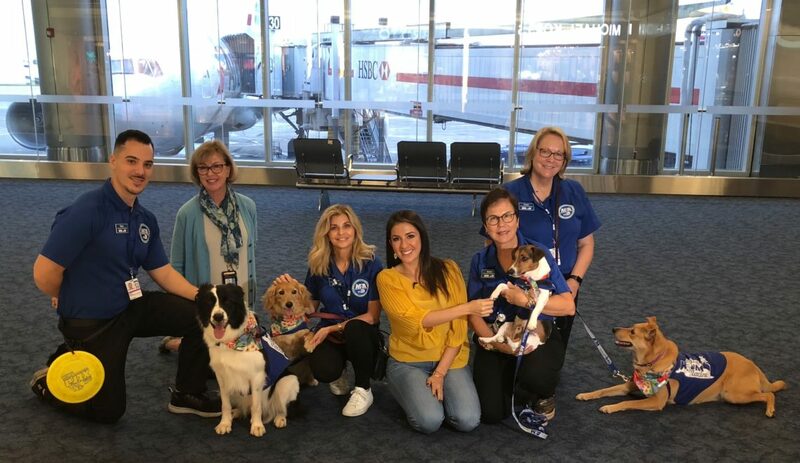 Fear no more to flying with the help of some canines. Luckily I have never been afraid of flying but I do realize that it is not the same for everyone. I have a friend who after getting married and has two daughters gets very nervous when flying. My boss had never been to Europe until recently because only the thought of being in a plane for 4+ hours terrified her. And just today, a colleague of mine confessed that she had never been a a plan because she is afraid of heights. 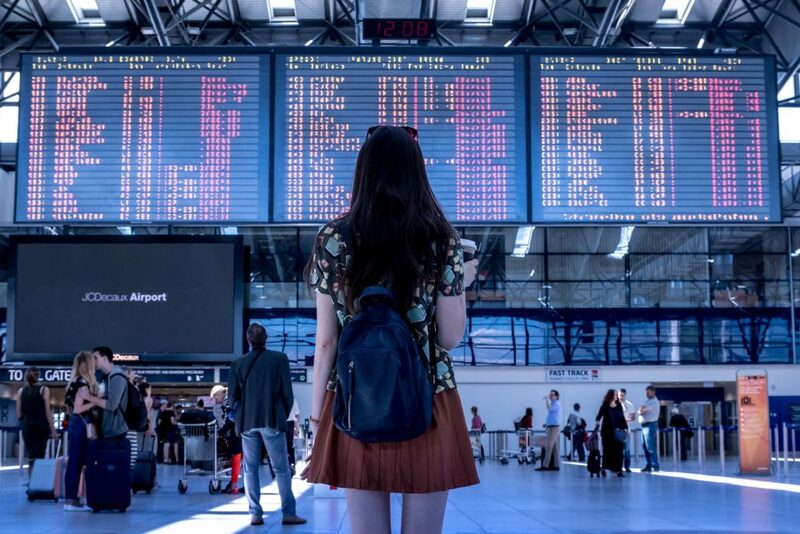 There are several ways to overcome the fear of flying. You can drink medicine, you can meditate, go to therapy, pray, enjoy a glass (or two) of wine, listen to music. etc. 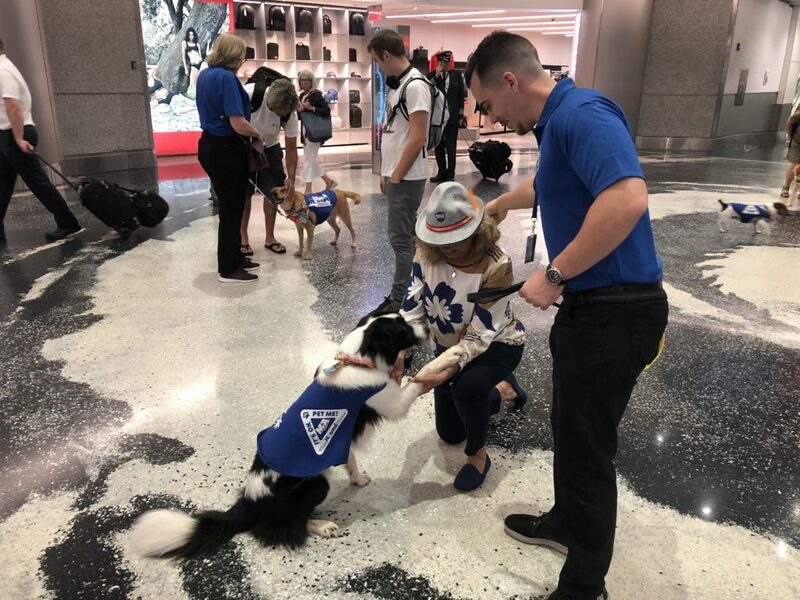 But very few people know what there are over 50 airports in the USA and Canada that offer volunteer Dog Therapy programs that allows trained canines to wonder around (with their owners) through the airport to play, entertain and be pet by anyone who approaches them. According to several studies, playing an petting a dog can reduce high blood pressure and anxiety. Last week I got to meet the “Miami Hound Machine” at the Miami International Airport. 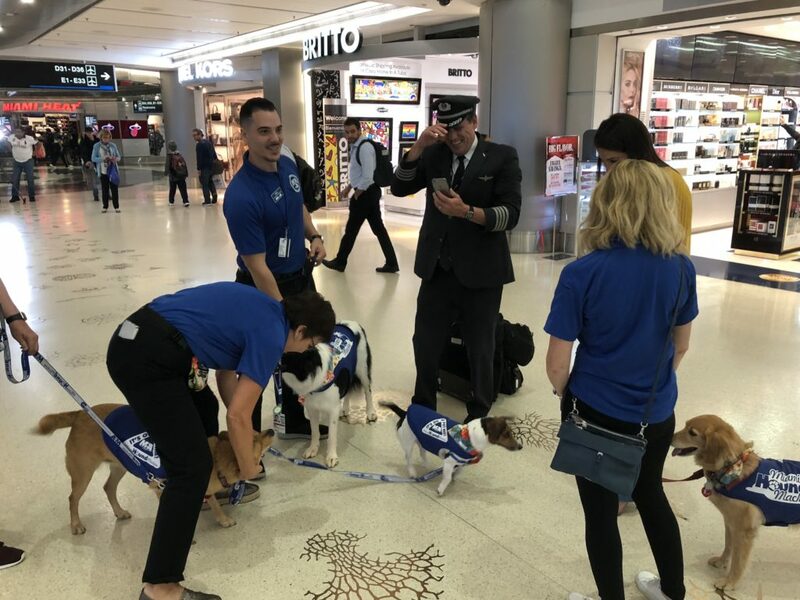 This program launched a couple of weeks ago with five dogs: Abbey, Pico, Donovan, Belle, y Dash- all certified dogs that are extremely playful, liked to be pet and know many tricks that will make you forget any fear of flights…and even your departure time (if you get too carried away)!